CLICK THROUGH FOR VIDEO WALKAROUND! ONE OWNER LOCAL TRADE! 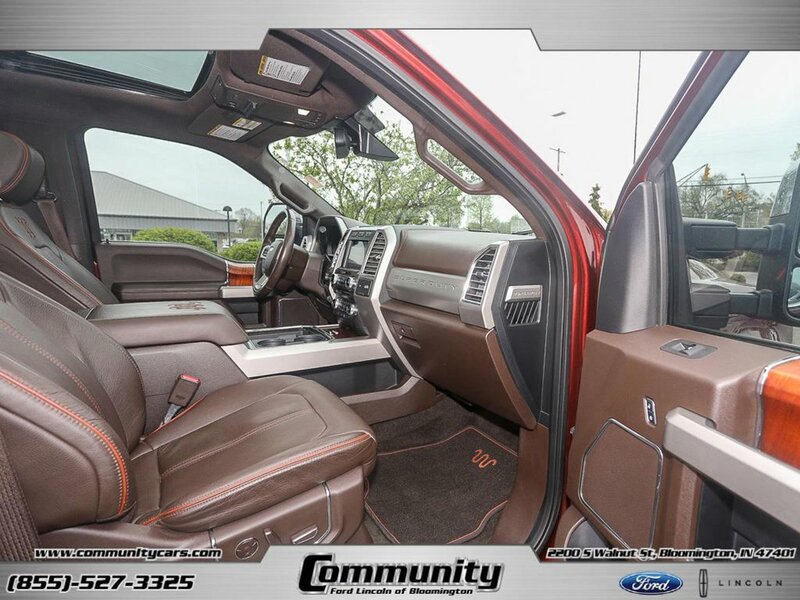 LOADED KING RANCH MODEL! BONE STOCK POWERSTROKE DIESEL! This 2017 Ford F-250 is a one owner local trade in for a new Super Duty. This four wheel drive King Ranch crew cab was purchased new from our store and has been regularly serviced at our shop. This is a clean, well maintained truck with a zero accident history. In addition to an unmodified 6.7L Powerstoke Diesel V8, this one also features extras like the FX4 Off Road Package, Sony audio, adaptive cruise control, the King Ranch Ultimate Package, the Tow Technology Bundle 20" chrome wheels, backup sensors and more!